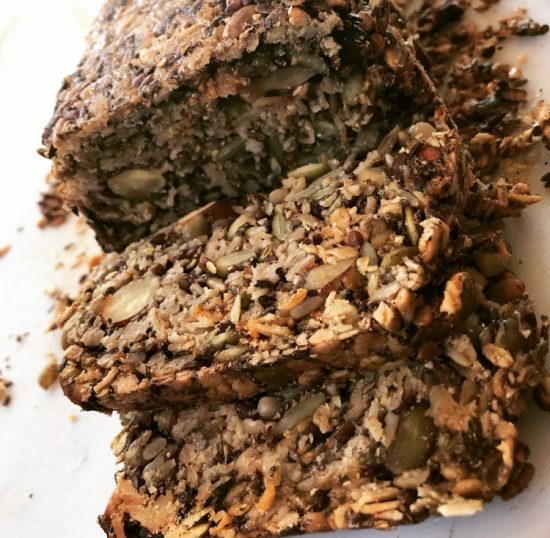 This seed bread is a really popular here at Anahata and everyone has been loving it – even preferring it to sourdough. This recipe is provided by Anahata chef and nutritionist Nityatma. Let it sit for at least 1 hour (works great overnight). Place the pan in a pre-heated oven (175°C/350°F) for 20 min. Remove the loaf from the tin and bake for another 40 min to bake the crust.